What’s ahead for IT outsourcing in the latter half of 2017? The drastic change in 2016’s IT outsourcing trends introduced Cloud and enterprise systems (SaaS, PaaS, and Iaas). An increase in machine learning capabilities will continue to shape 2017. IT outsourcing trends no longer center around the need to do a task faster, better and cheaper. Instead, the necessity of achieving more strategic business outcomes is more important. To meet this goal, new skills need to rise in the market. Beyond this, a new American administration envelopes global outsourcing in uncertainty. Political decisions in the US have the power to throw out our previous understanding of IT outsourcing. Trade agreements, tax policies, immigration policies, rules, and regulations are changing. Yet, we can remain certain about a few trends. 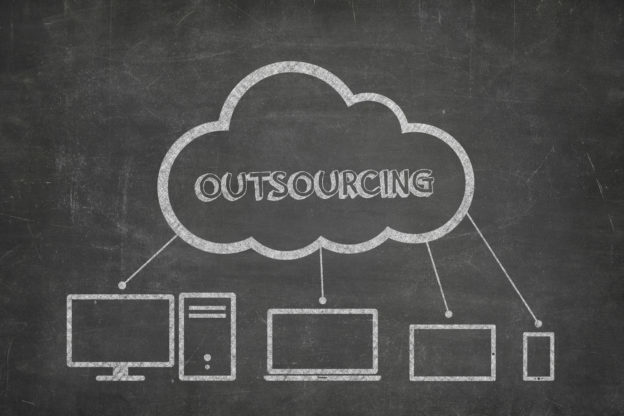 Let’s take a closer look at the top outsourcing trends to put in place this year. Last year, security breaches ran rampant throughout the industry. 2017 will see security challenges as outsourcing policy changes. It will also see new technology and necessary infrastructure shifts. The key player in security will become vendors of security offerings. Vendors in 2017 act as a safeguard for those looking for security solutions. Machine learning will drive down costs and provide more thorough analysis into commercial outsourcing. Automation leads to standardization. Standardization reduces direct costs. Suppliers, buyers, and consumers reap the benefits. Users know their way around the cloud. It is an integral and expected IT tool today. Cloud service providers must adapt to this new level of knowledge. Home-grown vendors will emerge with lessons learned from outsourced vendors. Think the call center still holds a place in your outsourcing efforts? Think again. This once effective IT outsourcing practice fell victim to new self-servicing tools and visual agents. Put virtual agents in place to handle your consumer’s questions and needs. Design thinking is one of many IT outsourcing trends generating a high level of interest in 2017. Design thinking is all about user experience (UX). Think of it as a user-centered approach to product design. This approach blends consumer feedback and emerging technologies. For consumers and providers alike, designing thinking acts as an outlet for innovation and creativity. If you’re a business in need of digital transformation but unsure where to start, look no further. Many refer to 2017 as the most uncertain year in outsourcing. But as you can see, this does not mean the death of your company or the death of outsourcing. Instead, companies need to prove flexible and focus on their consumer. They’ll gain competitive advantage and thrive with new IT outsourcing trends. These include enhanced security, more mature cloud, virtual assistants, and design thinking. If you’re looking for security, technology, or cloud solutions contact us today!